PT Timah Industri - Timah Industri is a rapid growing company in Indonesia that is involved in chemical industry. Based in Cilegon Banten, Timah Industri running business in the field of tin based tin chemical industry. Its main product is tin solder and tin chemical. Established in 1998, PT Timah Industry is a strategic subsidiary company of PT TIMAH (Persero) Tbk or TIMAH Group, a leading state-owned tin mining company in Indonesia. As of December 2016, Timah Industry is 99.9% owned by TIMAH Group. Timah Industri has its production facilities in Krakatau Industrial Estate Cilegon (KIEC) Banten with designed capacity to reach 10,000 MT per year. PT Timah Industri has a 100% shares in Great Force Trading (GFT), a Hong Kong-based company that was established in 2009 which is specifically to trade the products of TIMAH Group. In the business year of 2015, PT Timah Industri was able to achieve a better performance compared to 2014. According to PT TIMAH (Persero) Tbk Annual Report 2015 as cited by JobsCDC.com, Timah Industri registered total net profit of Rp3,085 million in 2015. This total net profit figures up 118% from the previous year. Timah Industri booked net loss of Rp17,211 million in 2014. Holds around 3-5 years of experience in the related field. Age on 1 January 2017 : minimum 28 years and maximum 35 years old. Have a diploma issued by a State or Private Institution with accreditation at least B. Age on 1 January 2017 : minimum 23 years and maximum 35 years old. JobsCDC.com now available on android device. Download now on Google Play here. Please be aware of recruitment fraud. The entire stage of this selection process is free of charge. 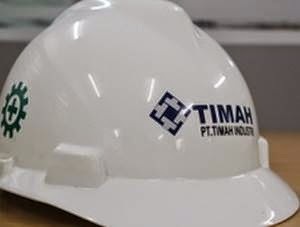 PT Timah Industri - Fresh Graduate, Experienced Staff, Mgr Timah Group September 2017 will never ask for fees or upfront payments for any purposes during the recruitment process such as transportation and accommodation.